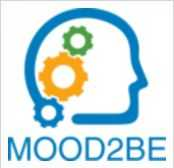 The aim of the MOOD2Be project is to address a very specific problem in the domain Component Based Software Development (CBSD) in Robotics: the correct design and implementation of the robot Behavior, also known as “Task Planning” or “Components Orchestration”. One of the goals of RobMoSys, and Model Drive Software Development (MDSD) in general, is to create a set of best practices, design patterns and meta-models, to allow the separation of Concerns and Roles. MOOD2Be project focuses specifically on the concern of Coordination and the role of the Behavior Developer. This includes the definition of a comprehensive meta-model, compliant with the RobMoSys one, and the implementation of specific set of tools and run-times which streamline the adoption of this models in real-world applications. Modelling in Robotics development is still the exception, rather than the rule. Multiple social, economic and technical reasons contribute to this trend, but the absence of a mature toolsets to support the development process is probably the most significant one. For this reason, one of the core objectives of MOOD2Be is the development of industrial-grade software tools which shall be easy to learn, to use and to integrate into legacy code bases. Focus on the Coordination concern, defining meta-models which explicitly decouple Coordination and Configuration from Communication and Computation. independence, by recognizing that they require specific tools and shall not need to be experienced software developers. Present a set of Design Patterns, based on real-world use-cases, which help the community to understand how this standard can be applied to their code-base.